Study days, final exams, and commencement are on their way. The end of the term and the academic year can be both an exciting and a stressful time. One way you can help to keep your student energized and focused is to surprise them with a care package delivered to their door. Ordering is easy at www.carepackage.umich.edu where you can choose from a wide variety of themed snack bags, sweet treats, fruit platters, balloon bouquets, and other novelty gifts. The care package will be delivered to your student’s residence hall front desk or apartment. How about a healthy snack bag to fuel those late-night study sessions or a celebratory care package for your soon-to-be graduate? 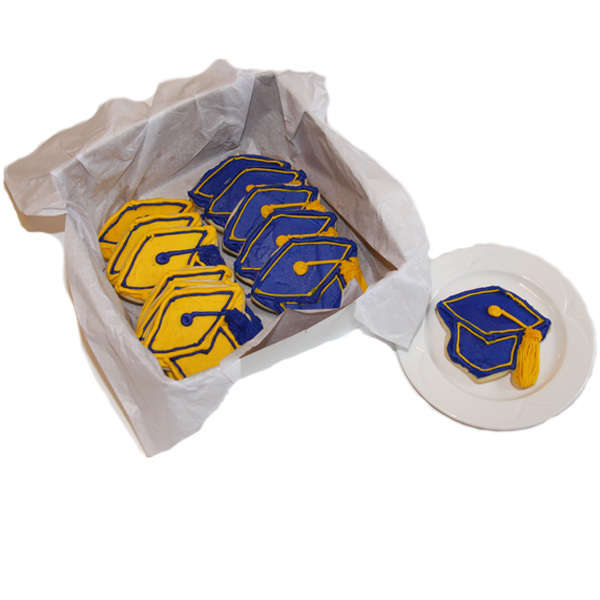 Delicious block M-shaped cookies are also a great choice for any occasion. Deliveries are available Monday - Friday. Please allow two days for processing and fulfillment by our student coordinators.